You are on a stopover in a Paris airport and you want to discover the City of Light and its monuments? 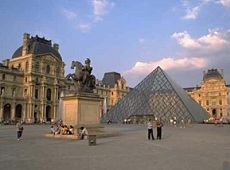 Would you prefer to visit the main monuments of Paris in a few hours rather than waste your time waiting at the airport ? We design especially for you a custom-tailored Tour of Paris : we pick you up at the airport with your Private Limousine and we show you the beauties if Paris. Within a few hours, we arrage your Private Tour depending on your time constraints and cultural interests. Now imagine... You are at the airport. Your private guide comes to pick you up with a private limousine and chauffeur. Depending on your time schedules and interest, he / she drives you to the Champs Elysées, the Eiffel Tower, the Louvre, Notre Dame, Montmartre, all the "must see's" in Paris... For each stop, he / she reveals the history, the cultural context, the hidden stories and secrets... Then, back to the airport. What could be a boring afternoon at the airport turns into a wonderful experience in Paris ! If we arrange your Tour of Paris, you will be our guest and you will skip the herds of tourists queuing for hours at the entrance of museums. Just relax, we arrange all your needs : itinaries, lunch-breaks and photo-stops are organized at your convenience. You are accompanied by an independent local professional guide and specialist. 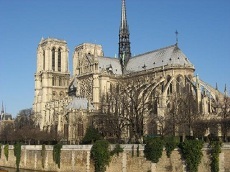 We work with dozens of guides, and we select your private guide based on of his / her interest in Paris. To provide you the best service, we are also used to work with the best Private Tours organizers in Paris, covering the whole scope of visits : History Private Tours in Paris, Art Private Tours in Paris, Luxury Tours in Paris... ...and even Napoleonic Guided Tours. Depending on your requests, from offbeat to the most renowned sites, we organize your perfect trip : tell us what you are interested in, and we design your Private Tour of Paris. Each Tour of Paris is different: price is quoted on demand.